Waynesboro bed and breakfast travel guide for romantic, historic and adventure b&b's. 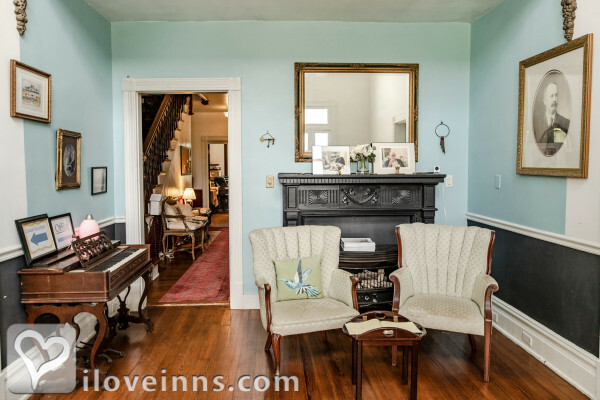 Browse through the iLoveInns.com database of Waynesboro, Virginia bed and breakfasts and country inns to find detailed listings that include room rates, special deals and area activities. You can click on the 'check rates and availability' button to contact the innkeeper. Waynesboro is near the Shenandoah Valley, site of many historic events especially related to the Civil War. Because of this, Waynesboro is one of the destinations caters to visitors who want to learn more about Civil War history. Among the most popular sites in the city is the P. Buckley Museum, and 4 miles away from Waynesboroare the War Fields, which are close to the Blue Ridge Parkway. After touring all these interesting locations during the day relax and dine at River City Art & Wine, which is near the center of Waynesboro. Accommodations at Waynesboro bed and breakfast inns are always available. By Iris Inn.